Do you think you need 30 years of saving to make your retirement happen? 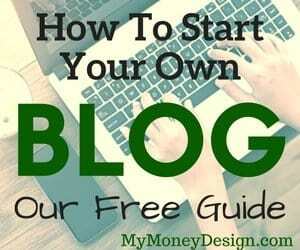 Do you think you need to make a lot of money? Or know what the best stocks are to invest in each year? I’m a huge fan of early retirement stories of the everyday-man; stories that prove that good-ole fashioned saving, simple investing, and living within your means CAN and WILL provide you with not just the means to enjoy a healthy retirement, but (when used correctly) the opportunity to retire 20 years ahead of the typical schedule! One incredible example of this has been captured in the outstanding ebook “How to Retire Early” by Robert and Robin Charlton. The book tells the tale of exactly how the two of them were able to retire after just 15 years of saving by the tender age 43! 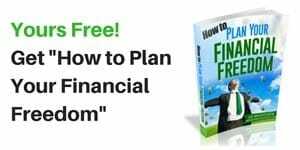 They go to great lengths to tell you just how much money they saved each year, what steps they took to get there, and how their general attitudes and philosophies played a major role throughout the entire process. So who is this early retirement power couple? From all accounts, the Charlton’s seem to be a couple much like any other couple you’d meet – someone you know at work or maybe a neighbor. They are a modest husband and wife without children. At the beginning of their journey back in 1991, they were not a couple that you’d ever imagine was in a position to achieve an early retirement. Robert was an unemployed technical writer and Robin was a travel agent earning around $14,000 per year. Then in 1992, the Charlton’s made a conscious declaration that they would one day soon become financially free and travel the world. And so they began taking the steps that would be necessary to get there, making a priority out of getting their finances in order. How Were They Able to Retire Early? The beauty of the Charlton’s strategy in “How to Retire Early” is how simple each of their actions was to get there. This is one of my favorite parts about their plan; something I really liked! Rather than whine and cry about not making enough money or hating their jobs, the couple understood that employment was going to be a necessary tool to help them achieve financial freedom. As a result, they took some pretty drastic steps throughout their 15 year journey to re-invent themselves and their careers. Robert ended up working his way up to a higher paying job and Robin completely changed occupations. By the end of their 15 year stretch, the two of them were earning a combined income of almost $140,000 annually! And what’s more important: They both actually started to enjoy what they did for a living. The more they saw early retirement as a reality, the less “trapped” they felt by their jobs and were and could actually see them for what they were. As the couple’s incomes increased, they continued to live as they always had. They didn’t buy fancier cars or take more frequent shopping trips. They kept a modest budget and even made room for a little “mad money”. Early on, the couple was saddled with car and college loans. They focused on eliminating these right away. When it came time to buy their home, they opted for a 15 year mortgage. Saved roughly a third of their income. The combination of earning more, having less debt, and keeping their lifestyles the same helped them go from saving less than $1,000 per year from 1992-1993 to as high as $44,000 annually during the last few years of the accumulation phase. If you’re really technical, at the end of the book, you can see detailed charts on exactly how much they saved each year! To help maximize growth, the couple focused on more aggressive, stock-based assets (as opposed to bond-type products). The couple stuck to mostly index funds as their primary system of investing. 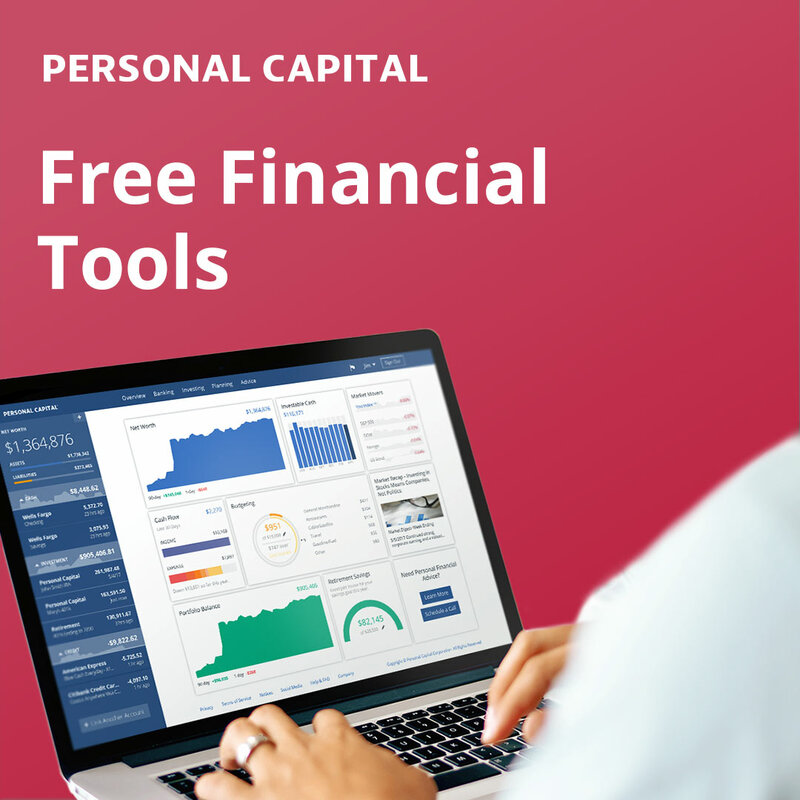 No fancy stock picks or other complicated financial products. At the end of their 15 year savings streak, the couple had almost $700,000 in savings. To help reach their ultimate goal of $1,000,000, they sold their home of $300,000. Given that their retirement plans included a lot of traveling, especially in regions where the cost of living was lower, they did not feel as though they needed their home any more. They planned instead to rent inexpensively and move from place to place. Eventually, the Charlton’s did end up purchasing a smaller condo for a steal when home prices were at their record lows. How Did They Fund Retirement Before Age 59-1/2? The matter of how someone supports those pre age 59-1/2 years of financial independence is one aspect of early retirement planning that I always pay particular attention to. The Charlton’s saved a significant portion of their money in taxable brokerage (non 401k or IRA) accounts; nearly $350,000. Because these types of accounts aren’t tax-sheltered, you are free to withdraw the money any time you wish. Since the Charlton’s only needed $40,000 per year for living expenses, they were in the 0% bracket and paid pretty much $0 in Federal taxes! 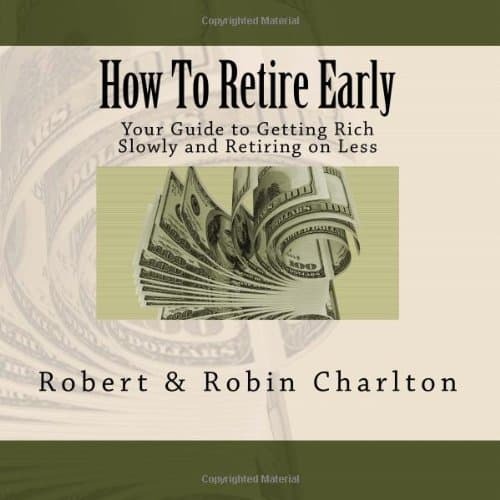 To give you an idea of how complete this book is, the Charlton’s acknowledged other strategies for withdrawing your money early before age 59-1/2 such as the 72t, age 55 401(k) rule, and Roth IRA contributions. However, they really wanted to keep things simple, and so they choose to use the taxable investment strategy as their means to support their pre age 59-1/2 years. Another thing they did: They occasionally worked! Yes, even in “retirement”, Robert received an offer to do some part-time consulting, and it was an opportunity that was too good to pass up. He ended up making enough money to cover 1-1/2 years of retirement expenses without having to dip into their savings whatsoever. Ever since retiring, the couple has enjoyed a very adventurous lifestyle of traveling to wherever they desire. If you’d ever like to see what the couple is up to, they run a blog over at WhereWeBe.com. The website captures all the places they’ve visited and travels they’ve had. Dealing with Recession – the couple retired right just before the big fall out in 2008! You can read how they dealt with that. In summary, I really enjoyed this book both for its story-line as well as from a technical perspective. The whole time I was reading it, I found myself finding more and more confidence in my own early retirement plans. We need more examples like the Charlton’s of how regular people like you and I can make our goal of financial freedom come true. Too many people have this false idea that you need to be high-paid or good with stocks, but that’s not true. You just have to dedicate yourself to the idea of making early retirement a reality, and then have the discipline to follow through for many years to come. The math is all there: If you continue to save, avoid taxes, and keep your lifestyle modest, then you can in fact achieve financial freedom. And the story of Charlton’s really does a great job of laying out the path for how to get there. Definitely check this book out on Amazon! Readers – Who else has read the book “How to Retire Early”? What did you think of it? What parts of the Charlton’s early retirement strategy will you be using for your own financial freedom goals? Is there anything you would have done differently? Ask MMD: Should I Do a Rollover, Pension Lump Sum or Annuity? Should I Rollover My 401(k) Into an IRA? – Absolutely! What Are the 401(k) Withdrawal Rules for Early, Penalty-Free Access? From the free preview I saw on Amazon, I saw that they share how much they earned per year, and how much they saved. This by itself is probably one of the reasons why I may end up buying this book. Few other authors of early retirement books share details about how much money they have. I was wondering, did they discuss how they invested their money more specifically? Did they have a fixed income allocation to bonds? Dividend Growth Investor recently posted..Where to invest the money from the sale of Kinder Morgan stock? It’s definitely well worth the higher price (can you tell I’m buying too many $2.99 ebooks?) 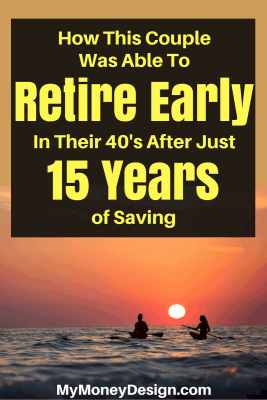 And its one of the few early retirement tales I’ve read that is accompanied by such detailed information about their saving and investing history. Look for chapters 2 and 3 as well as a few other sections. Chapters 11 and 3 get into details of their investments. Mostly stock based funds. In fact they didn’t really invest in any bonds until after retirement because they were going for aggressive equity growth. Fortunately they switched to bonds just before the Great Recession! Since my wife and I wed and started our family late in life, managing child expenses while living on one salary, and still saving for retirement is an interesting journey. Regardless of the outcome, I’m sure our children will benefit from what we’ve learned and will teach them so that they can live the life they want, and use the power of money rather than be a victim of it like so many of our contemporaries are. Time will tell. Thanks for the tip on the book. I’ll add it to my reading list. That’s actually one of the most important things I hope to pass on in life as well – lessons learned to my children so that they can keep this dynasty going. Good luck with doing that! I didn’t read the book yet but I’ve seen known of the website for a few years now. I also wrote about them some time ago, and it goes to show that anyone can achieve goals with focus. It’s impressive how many desitnations they’ve been too and the travel bug is still in full force. Great review, MMD. Now I have another book to read this Christmas break. Thanks for sharing this review MMD. You definitely won’t be disappointed! It will be a great one to relax with and learn a ton from. It’s on my to read list, but after this review I think I’ll move it up the queue. Thanks! I can guarantee it will be one of the better ebooks you’ve read in a while. …this coming from a guy who downloads a lot of ebooks 🙂 It’s just great and honest advice about one of my favorite topics. MMD, I just bought this book by Robert and robin Charlton. I have read some of the first pages and I must say that this book is great! I kinda have the idea on how I can retire early. Definitely a must read book! Thanks for the review! After reading this book, you’ll go from having “kinda of an idea” to a full-on master plan! So much good data and advice is packed in there. MMD, I have to say this. I am done reading the book by Robert and Robin Charlton. I must say that I learn so many on how I can have a greater retirement life. This book is highly recommended. Glad to hear you liked it! I really will be recommending it to as many people as possible. There’s a lot to be gained from these pages.